I actually love to make jelly and love to eat it; probably more than the kids! Lime flavour is a fav flavour and I like it with vanilla ice cream. My kids love jelly and as a parent I have always been concerned by the sugar content, thus I am happy to see the reduced sugar varieties. I don’t think it impacts the taste. My kids and i tried this flavour the other week and my son loves it! (reduced sugar and wow still so very sweet!) you wouldn’t know the difference! These are so simple and easy to make. I like to hide grapes in this green one as it gives the kids a big smile to find them.. even though you can see them their very good at pretending. I think the taste is even better in the reduced sugar ones. Love aeroplane jelly! and with the reduced sugar these are my go to ! I love Lime flavour over others as even though reduced sugar some are still too sweet! 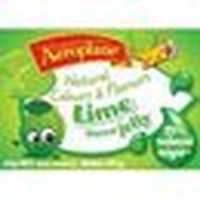 How would you rate Aeroplane Jelly Reduced Sugar Lime?